Are you looking for frames with a timeless quality that emanate strength? Then brushed steel is the way to go. If you are looking for something that is easy to maintain and gives a great finish to any room, then a brushed stainless steel table frame is the perfect choice. When man first discovered steel it transformed the world we live in as we know it today. Its strength and durability have stood the test of time – it has been used in the production of millions of products worldwide and it remains one of the most commonly-used materials on the planet. 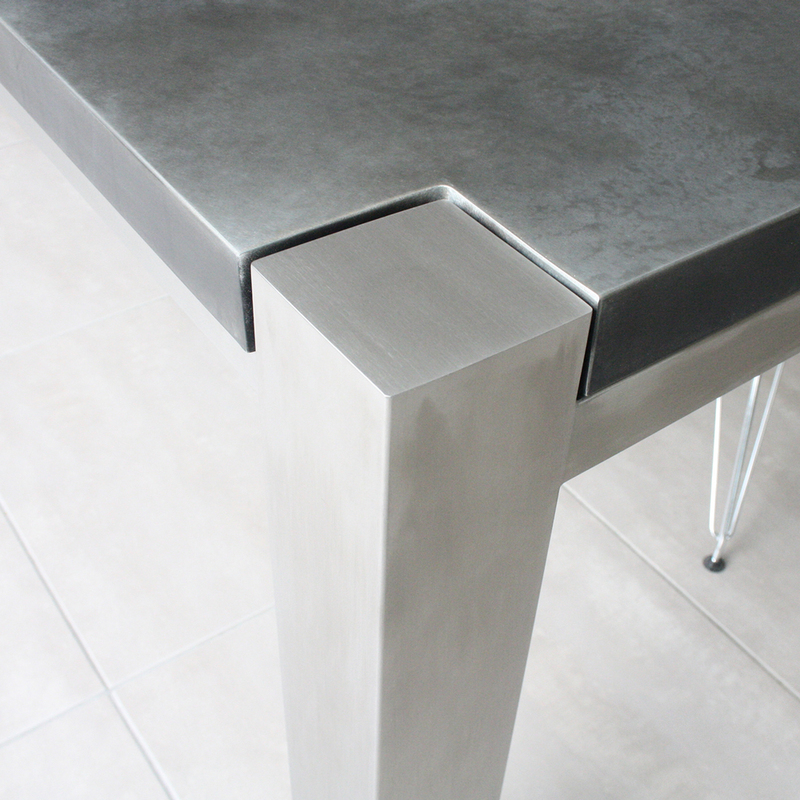 Brushed stainless steel table legs are no exception, as it has proven the perfect material for weight and durability. 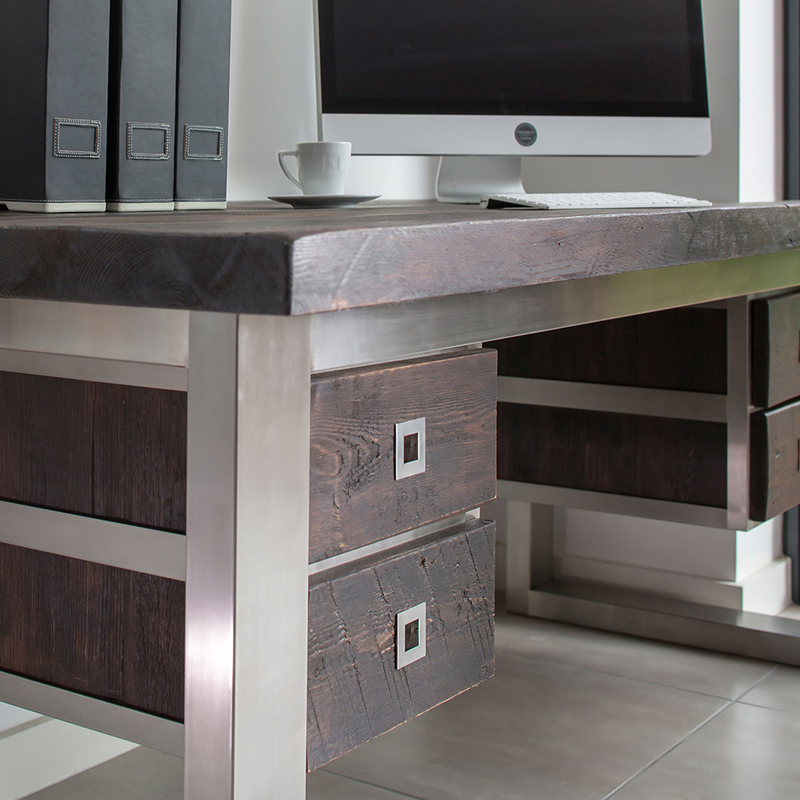 A brushed stainless steel table frame creates a sleek introduction to your home. Wood and metallic table surface finishes such as copper look fantastic mounted on brushed stainless steel table legs. Steel is incredibly easy to clean and needs nothing more than a quick wipe down with a clean, damp cloth to keep your frame nice and shiny. Brushed stainless steel table legs are an attractive option to consider. With their enormous strength and durability, they make a welcome addition to the home and office. They offer a clean look that doesn’t rust or degrade over time, are very easy to clean and will outlast any environmental conditions. This kind of corrosive resistance can only be found in stainless steel, and even if you are looking to install it on your beach house patio, the salty air won’t eat away your brushed stainless steel table legs. Keeping your home clean and germ-free is a top priority for every home owner. Brushed stainless steel table frames give a clean look to the room as well as a surface that doesn’t hide dirt and other household stains. There’s a reason why hospitals use it: it is hygienic and corrosion resistant. Brushed stainless steel is exactly what it says it is: stainless. That means it doesn’t tarnish or patina over time and retains its perfect finish all the way through its life, which could be until the end of the world. Steel can come in a few finishes, polished or brushed. Brushed stainless steel gives an attractive and impactful look to any table frame, and blends in with the environment in your home or office. Its aesthetics are matched only by its strength, and it will easily support a solid granite or wood table top. 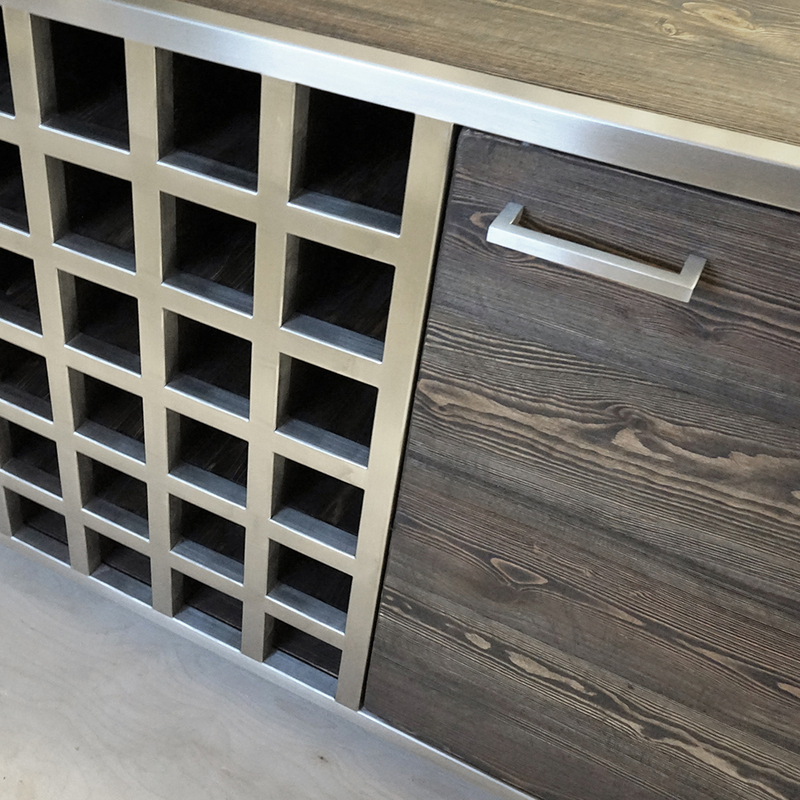 It’s a common myth that all stainless steel is a non-magnetic. Yes, in most cases this tends to be true, but there are certain types of this material that are magnetic. It all depends on the microstructure of the material being used. Did you know that steel is one of the most recyclable materials on the planet? Steel is around 1,000 times stronger than iron in its purest form, and can be recycled without loss of strength. You can feel good in the knowledge that your new purchase will have played its small part in conserving the world’s resources and environment. Did you know that it expands and contracts? Although its resistance to high temperatures is exponentially better than that of other materials, it does still react to extreme variance in heat and cold. Therefore, constructors allow for tiny gaps between sections of railway track, and the Eiffel Tower is 6 inches taller in the summer than in winter. It is one of the most ductile materials on the market and can be ‘woven’ and ‘worn’ in its production process, meaning it can be drawn out into a thin wire without losing any of its toughness. Many manufacturers produce a stainless-steel mesh that is fine enough and pliable enough to wear. Steel is a low-carbon alloy typically comprised of iron, tin, and carbon. With its ability to withstand corrosion (thanks to the inorganic compound chromium oxide), heat, and pressure, it’s one of the most popular metals in manufacturing. The worldwide steel industry has an estimated annual turnover of US$900 billion, making it the second largest industry in the world after oil and gas.